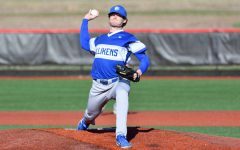 The Billikens returned to the Billiken Sports Complex to play La Salle in a three-game series from April 10-12. 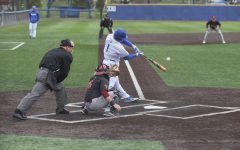 On Friday, April 10, SLU and La Salle exchanged runs throughout the game, which resulted in a 6-6 tie heading into the ninth inning. 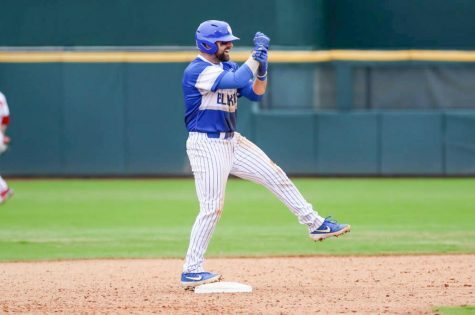 La Salle built up a three-run lead in the top of the ninth, but the Billikens clawed their way back into the game and tied the score at nine, after taking advantage of two errors made by the Explorers. 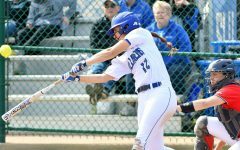 The game continued into extra innings and La Salle once again took a three-run lead over the Billikens in the top of the tenth. 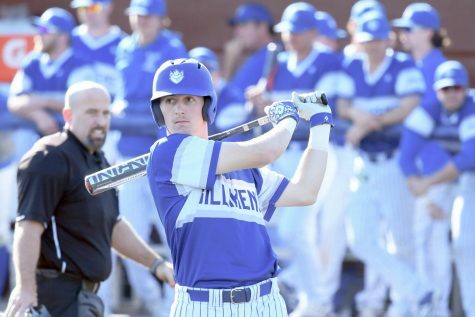 Freshman third baseman Justin Walker hit his first career round-tripper, which was a two-out shot to left center, bringing the Billikens within two. Unfortunately, SLU could not capitalize on the opportunity and fell to the Explorers 12-10. Junior catcher Jake Henson was SLU’s best hitter of the game, going 3-5 at the plate with three runs scored, two RBIs and his eighth home run of the year. 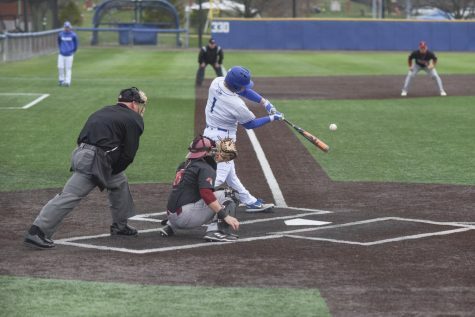 He currently leads SLU in RBIs with 37, as well as home runs. The following day, La Salle struck early with two runs in the first, and one run in both the fourth and fifth innings, building a 4-0 lead. SLU retaliated in the sixth, loading the bases and forcing the Explorers to look to their bullpen. 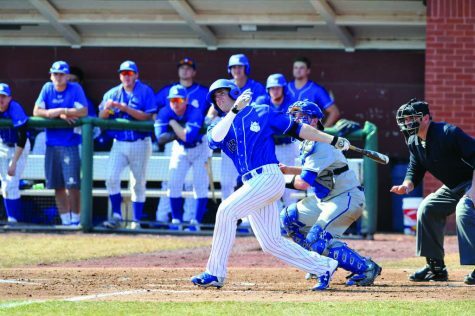 Henson and junior infielder Josh Bunselmeyer posted back-to-back walks to put SLU on the board. Junior infielder Braxton Martinez brought SLU within one run after sending a ball into deep center field. Freshman outfielder Parker Sniatynski tied the game at four with a quick single to left. Sophomore Danny Mannion helped SLU take the lead with a grounder, which allowed Bunselmeyer to score. 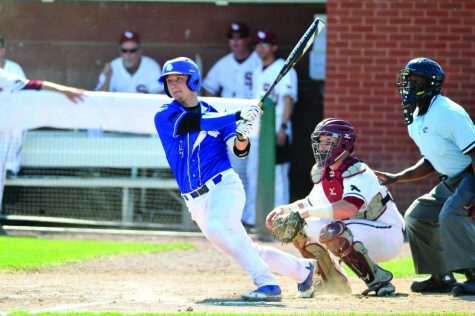 Bunselmeyer came up big in the seventh inning, driving in a pair with a two-run double. 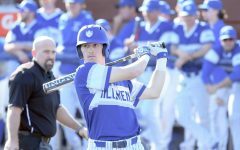 Sniatynski hit a homer down the left field line, his first as a Billiken, allowing Bunselmeyer to score. In the eighth inning, senior first baseman Mike Vigliarolo hit a double down the left field line. This was Vigliarolo’s eighth double of the season and the 53rd of his career. 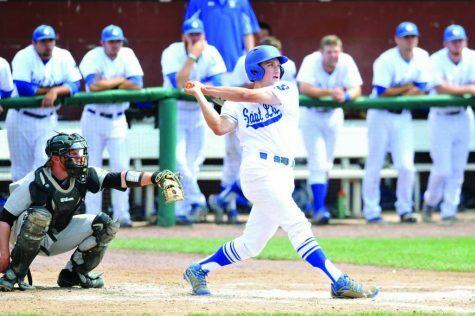 He is currently only one double behind Adam Gabris for SLU’s all-time doubles record. 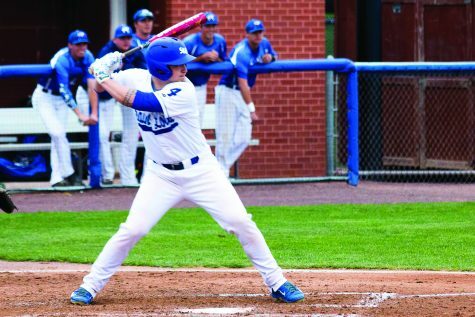 This offense allowed SLU to cruise to a 9-4 win. The Billikens finished the series on Sunday, April 12, scoring three times in the second inning, off of five La Salle errors. In the third, Bunselmeyer brought in Vigliarolo, who was on third base, to take a 4-0 lead. The Billikens tacked on five more runs in the fifth, giving them a 9-0 advantage. Vigliarolo got things started with an RBI single to left field. Henson followed up with an RBI double, then Bunselmeyer drove in both Vigliarolo and Henson with a single up the middle. Freshman shortstop Alex King also had an RBI single to right field. In the seventh, Mannion scored on an RBI single to right field, nd junior catcher Joey Salerno scored off of a wild pitch. 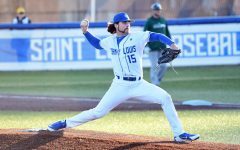 La Salle finally got on the board in the eighth, but the Billikens prevented them from capitalizing, and the game ended in an 11-1 victory. 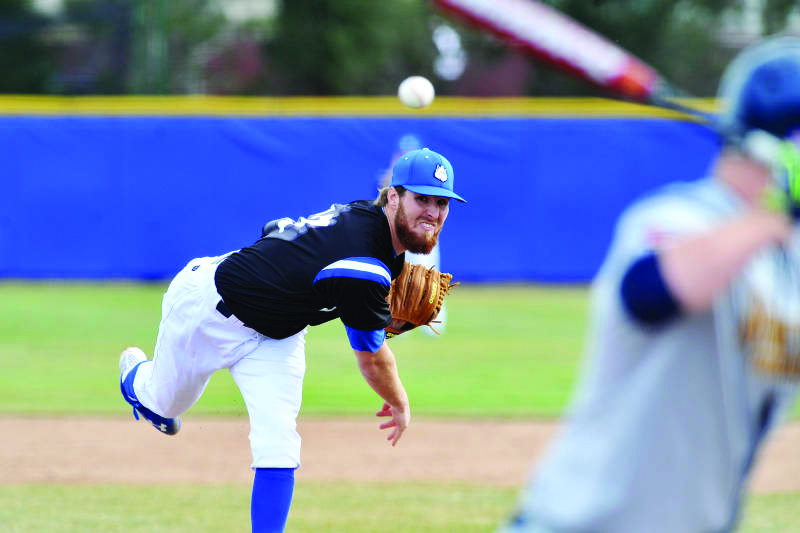 Senior pitcher Clay Smith pitched six shutout innings for the Billikens. He allowed five hits and two walks, striking out five batters. This was his sixth victory of the season and the 22nd of his career. With the win, Smith moves to second on the all-time pitcher wins list at SLU, trailing Alex Alemann (27) in the Billiken record book. 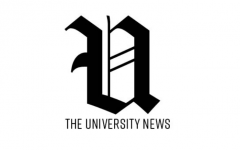 Mannion and Vigliarolo were the leading offensive players for the Billikens. Vigliarolo went 3-4 with two runs scored and an RBI, Mannion also was 3-4 with one run and two RBIs. 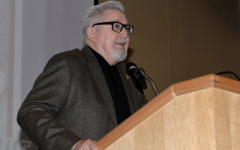 Bunselmeyer led the team with three RBIs. The Billikens hosted fellow Jesuit school Rockhurst on April 15. The game remained scoreless until King singled to right field, advancing Sniatynski to third and allowing Bunselmeyer to score. Sniatynski scored soon after, briging the score to 2-0. In the fifth, Sniatynski hit a fly ball to bringing Henson home for the a 3-0 score. 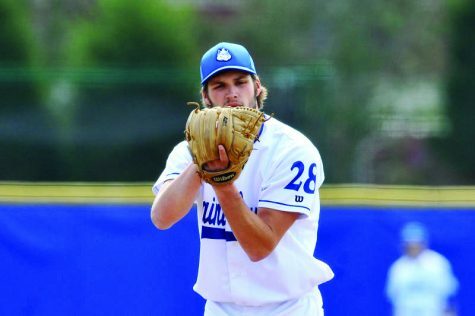 Right -handed pitcher Connor Lehmann was credited with the win after allowing only two hits. The Billikens advance to 24-12 on the season. They will continue their conference schedule against Massachusetts, at home, April 17-19.